This is a list of the Top 40 Most Popular Songs released on the Hotdisc Rush Released promotional CD. Each week DJs and media people who receive the album send back their reaction sheets where they are given the chance to rate every song. This chart is exclusively for clients of the Hotdisc Rush Released CD.Â The chart is published weekly here, and also in Country Music People, Country Music & Dance and Up Country magazines with the radio show syndicated across the world, and the new Hotdisc Top 20 TV programme on Sky TV Channel 389 every Monday (6pm), Thursday (4pm) and Saturday (1am) as well as being available on FreeView 87 and FreeSat 516. The programme is also available in HD at our website from our home page. 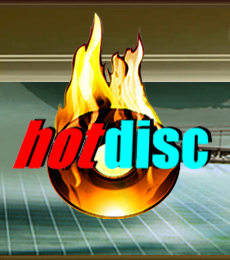 The Hotdisc charts are put together weekly using ratings supplied by DJs who give scores to every song on the last three months’ editions of Hotdisc Rush Released. The scores are averaged out per week to give an accurate guide to the songs which are being championed by the industry. The aim is to showcase the tracks which the industry professionals are flagging up as quality songs. This is a very useful exercise as it is free of politics, hype and rigging and done solely on merit!Â We don’t care if a song is on a small label or backed by a huge label. If it is good enough it will be played in Europe. It is all about the quality of the songs and nothing else!